Though Chicago is home to some of the country’s best museums, universities and art galleries, the city is also part of a statewide problem: predatory lending. Payday and title lenders run rampant in this state, which has little regulation to combat them. Lawmakers often propose legislation that will help curb the spread and popularity of these lenders, but these bills have not fixed the problem. What Illinois and Chicago need is forceful laws that make it impossible for lenders to charge 300% APR for loans that often end up costing borrowers five times their original sum. These terms make it difficult for borrowers to repay the sum. Though many end up taking out payday loans or title loans as a way to stay afloat, in fact the debt often ends up sinking them even farther. However, hope remains high in Chicago as lawmakers and lobbyists have introduced legislation to combat the high interest rates of payday and title loans. While it may take some time to see if these laws pass, it’s a good sign that lawmakers are taking the threat of payday and title lenders seriously. Lawmakers aren’t the only ones trying to stem the rise of payday and title lenders. Local banks and credit unions are working on creating products that will fill the need of small-dollar loans without the outrageous interest fees and charges. As these products become more widespread, we will hopefully witness a decline in payday and title lenders. Better-paying jobs in growing industries can also stop the spread of payday loans, as people will be less likely to need financial assistance. 21.7 percent of Chicagoans live in poverty. That’s almost 10 percent higher than the national rate of 12.7 percent and higher than both Los Angeles and New York City, the only two American cities with larger populations. The third largest city in the country, Chicago has a population of 2,704,958.1 It stands as a cultural epicenter, famous for its large collection of museums, beautiful lake views and extraordinary architecture. People who visit Chicago are usually mesmerized by its attractions, but they rarely get to see the seedy underbelly. Much of is made of Chicago’s crime stats, which usually make bold headlines. However, what people fail to see is another form of crime happening in Chicago: the crime against its poorest citizens by predatory lenders. Like many major cities, Chicago has a high percentage of those living in poverty, at 21.7 percent.2 That’s almost 10 percent higher than the national rate of 12.7 percent3 and higher than both Los Angeles and New York City, the only two American cities with larger populations. Chicago’s problems are not because of how many people live in the area, but of the policies and systems that are in place in the Windy City. The city has an unemployment rate of 4.8 percent4 and a job growth rate of 1.39 percent.5 These factors help contribute to the plight of Chicago. Without a strong growing workforce, residents cannot begin to climb out of poverty and escape the traps laid for them by predatory lenders. When someone has a good job, a solid credit history and decent financial knowledge, they’re less likely to fall prey to payday and title lenders. They’re more likely to find alternative forms of credit that are less costly. That amount adds up quickly, especially in an expensive city like Chicago, where the median household income is $66,020.8 The cost of living in Chicago is $27,138 for 1 adult, $55,575 for 1 adult and 1 child and $63,722 for 1 adult and 2 children.7 The percentage of renters is 36.76 percent. Payday and title lenders succeed in cities like Chicago not only because there is no city or state legislation prohibiting high interest rates, but because the residents there are struggling financially. With a high poverty rate, it’s no wonder why payday lenders are so popular. Low-income residents are the most likely to seek out these types of borrowers and use them instead of less expensive alternatives. The more low-income residents a city has, the more likely it is that they’ll have a strong number of payday and title lenders. A payday loan is a short-term small loan made to borrowers who can provide some kind of proof of income. Borrowers often take out payday loans to cover some kind of financial emergency, like car repairs and emergency room visits. When people lose their jobs or can’t work due to disability, they sometimes rely on payday loans to help them stay current on the rent and other important bills. Signing up for a payday loan is dangerously easy. You can often complete the application and receive the funds in less than an hour. There’s no credit score check that a traditional bank or credit union would require and you don’t have to wait the two weeks it might take for a credit card to come in the mail. Payday loans are for people who need cash today and who don’t have the time to compare rates and lenders. When you apply for the loan, you can either give the lender a post-dated check with the full total due or access to your bank account, from which they can make a withdrawal on your due date. The problem is that many people aren’t able to repay the loan by the due date, which is usually in two to four weeks. Instead of defaulting on the loan or overdrawing their bank account, they usually end up refinancing the loan. Every time a borrower refinances their payday loan, the interest compounds upon itself, resulting in more and more fees. Many refinance several times, which is partially why the amount they thought they’d pay in fees turns out to be much more in the end. Because borrowers who use payday loans often don’t have stellar credit scores (if they even do have a credit history), lenders charge them high interest rates to make up for those will end up defaulting on their loans. However, these interest rates far exceed what regular banks charge. The APR on a payday loan is often more than 100 percent and can be as high as 500 percent in some cases. Payday loans are legal in Chicago, and they average about 398,194 per year statewide.9 In Illinois, the average loan amount is $354.92 with a finance charge of $54.58, or 15.4 percent of the average advance amount between 2006-2008.9 The maximum loan amount in Illinois is the lesser of $1,000 or 25 percent gross monthly income. Payday installment loan lesser of 22.5 percent gross monthly income or $1,000.10 There are no current Chicago-specific city regulations regarding payday loans. Payday loans in their current form aren’t helping consumers. While some are able to repay loans quickly, many end up refinancing and paying more in fees than they ever realized. Even though lenders are legally required to disclose interest rates and fees to borrowers, they often try to frame them in monthly terms, which seems more manageable. Overall, payday loans are never the answer for someone who needs cash desperately. “For someone who doesn’t have enough money for expenses, credit isn’t the answer,” said Lauren Saunders, associate director of the nonprofit National Consumer Law Center. Some banks and credit unions have started offering payday alternative loans to help people who need money without punishing them with usurious interest rates. Chicago resident Barbara Martinez has seen the benefits of this program head-on. Chicagoans looking for an easy alternative to payday loans can find them in banks and credit unions like the local North Side Community Federal Credit Union, which provides $500 unsecured loans with low interest rates. Borrowers must fulfill some other requirements, but overall, this is a great option for people who need to borrow money immediately. As of September 2017, the unemployment rate in Chicago, IL was 5.4%. For a while, if you wanted to take out a payday loan, you had to visit a payday lender storefront in person. You’d have to find one near you, trudge there no matter the weather and fill out some paperwork. It wasn’t too much of a hassle, but there was a small barrier. Now with the advent of online payday lending, people are starting to realize how easy it really is to take out a payday loan without leaving your house. What Parker didn’t realize is that her new loan also came with a 842 percent APR. Like traditional payday loans, online lenders receive access to the borrower’s bank account, so they can make withdrawals whenever they like. Borrowers who can’t afford to repay the loan end up refinancing multiple times, ratcheting up the interest fees with every new application. Illinois does have a cap of 400 percent on payday loans which are 120 days or shorter. Longer payday installment loans have no restriction on the amount they can charge borrowers, which online lenders take advantage of. In 2007, the state fined an online lender that charged an Illinois resident 2,190 percent APR, but found it difficult to collect the fine. Consumer Spending in Chicago, IL vs Consumer Spending in the U.S. Individuals aren’t the only ones affected by payday lenders, small businesses are also targeted by these companies. A 2016 article found that small businesses face the same high-interest rates as individuals do. These businesses are targeted by online payday lenders which don’t have many of the rules that apply to single consumers. These loans can be extremely harmful to a small business and can lead it to bankruptcy, just as it would for a single person trying to pay off a payday loan. Mike Yanez owned his own commercial cleaning business and tried to take out a traditional business loan. Unfortunately, he didn’t qualify so he turned to an online payday lender. Soon the fees began growing out of control, overdrawing his bank account. Because these loans are popular with people with poor credit, many of them struggle between wanting better interest rates and more flexible terms and not wanting the industry to go away entirely. Poverty Rate in Chicago, IL vs. U.S.
Chicago is known as the Windy City and many assume it’s because of the wind coming from Lake Michigan. However, it’s really in regards to the “hot air” coming from the mouths of its politicians.19 In fact, the city of Chicago has always struggled with unscrupulous politicians, both on a state and local level. With that kind of history behind it, it’s no wonder that Chicago lawmakers have failed to eradicate payday and title lending. Though payday and title lending is legal in Illinois, lawmakers are making some strides in order to regulate the industry and prevent more damage than necessary. So far these laws have been helpful, but not entirely conducive to getting rid of this industry. An interest rate cap on small consumer loans, which have terms of six months or more. The cap is 99 percent APR, higher than credit cards or personal loans, but far less than the 400 percent APR you might find with a traditional payday loan. Unfortunately, these rules aren’t enough to prevent Chicago residents from falling into debt with these loans. While it’s helpful that a payday loan isn’t more than 25 percent of what a Chicago resident earns each month, that figure is still incredibly high. Most of the people who take out payday loans earn less than $30,000 a year or about $2,500 a month before taxes. That means their monthly payday loan payment could be as high as $625. For someone struggling to pay for the basics, $625 is a huge burden to tackle each month. Also, the 400 percent APR cap is helpful, but it still allows lenders to create loans with fees more than double the original principal. One of the major issues with Illinois’ consumer loan laws is that it limits regulation on loans to those less than 120 days. Unfortunately, many loans last longer than 120 days, so they’re not under the same protection as the law. The law also does not apply to title loans, which many say are even more dangerous than a traditional payday loan. Fortunately, constituents do have some power of influence. They can contact their local representatives and explain why they support more regulation for payday and title lenders. While many lawmakers might support regulation in theory, a nudge from a constituent could help them be more vocal. Even if your lawmaker has already voiced their support and sponsored a bill, it still helps to contact them personally. The more they know how the people feel, the more they’ll push for harsher regulation. Local residents can find a list of their reps here: https://www.illinoispolicy.org/maps/. 2016 Credit and Debt Statistics for Chicago, IL vs. the U.S. If you take out a payday loan, make sure you understand exactly how much you’ll be required to pay each month and for how long. Ask about any fees and get the answers in writing. If it turns out that you’re charged more than you were originally told, having the responses in writing will make your case that much stronger. That will at least ensure that they’ll be held responsible if they lend you more than legally allowed or if the interest rate is higher than 400 percent APR. Remember, if you feel like they’re doing something illegal or fishy, contact the IDFPR right away. Consumers have to be the ones to report lenders to the state regulator. When you file your complaint, make sure to outline all the details of what happened, what kind of lender it was and why you believe they broke the law. Keep copies of all your documents, contracts, proof of payment and more. An infraction can be as simple as not providing the correct interest rate on your contract or not checking your income before approving you for the loan. Even if you’re not sure the lender committed an offense, it’s still better to file a complaint. If you have any questions, you can also call them and share your story. They’ll be able to tell you what next steps are most appropriate for your personal situation. You can also file a report online at https://www.idfpr.com/DFI/DFIComplaintForm.asp. However, a major issue with online payday lenders is that many of them operate outside of Illinois and they charge higher interest rates than the state legally allows. The IDFPR has a list of unlicensed internet lenders at https://www.idfpr.com/DFI/BorrowerBeware.asp. It may take some time to hear back from these organizations, since they’re largely run by volunteers or non-profit lawyers. You can also ask people you know if they have any recommendations for lawyers who can tell you if you have a good case or not. Try finding a lawyer with a background in consumer issues; they’ll be the best equipped to handle your case. Payday lenders thrive in Chicago for a very simple reason: there’s an ample and willing group of people who regularly use their services. A report from the Illinois Department of Financial and Professional Regulation found that 56 percent of payday loan borrowers earned $30,000 or less and about another 20 percent earned between $30,000 and $50,000 a year.”9 The average salary for a payday loan borrower in Illinois was $33,225. Renters and African-Americans are also more likely to take out payday loans, which also corresponds to Chicago’s population, which is 32 percent African-American. Low-income populations resort to payday loans likely because there are few banks in their neighborhood where they could find cheaper alternatives. Often, payday lenders outnumber banks and credit unions in poorer areas. Another reason why payday lender are so successful is because the laws do not prevent them from making a huge profit off customers. While some states have outright banned payday or title lenders, other simply enforce a strict 36 percent APR. Once that interest rate cap is enforced, many payday and title lenders simply stop operating within that state. The profit margin isn’t as high as it once was, so they leave. Because Chicago has such a high APR limit (400 percent) on payday loans, lenders still find it profitable to exist within the state of Illinois. Until the law changes, they’ll have no reason to leave. City of Chicago Emergency Rental Assistance: Making rent is a common reason why people take out payday and title loans so the city government has a program that offers $900 grants to renters who are struggling “due to a crisis such as loss of job, home fire or illness.” Applications can be found at a local community center or here. Financial Assistance in Cook County: There are many different types of programs available in Cook County including foreclosure prevention, utility assistance help and more. These programs can help consumers avoid taking out payday loans and going deeper into debt. This list of services and programs includes those run by nonprofits and private corporations as well as city and state departments. Homeless Directory in Chicago: There are many shelters in the Chicago area for people who need a place to stay for a night or those who need assistance finding a more permanent solution. This directory also includes shelters specifically for abused women and children. Chicago Office of Veterans Affairs: Veterans in the Chicago area can turn to this department for help finding housing, job services and more. They also have legal services, help for entrepreneurs and educational opportunities. Many of these services are free for veterans, so there’s no reason why they shouldn’t take advantage. City of Chicago: Affordable Rental Housing Resource List: Like many major cities, Chicago’s housing prices can be hard to manage for low-income folks. This is a list of affordable housing options for people looking for cheaper rent. Some places might have a long waitlist, so be sure to apply as soon as possible. 1. “Chicago, Illinois” Wikipedia. Accessed February 19, 2018 from https://en.wikipedia.org/wiki/Chicago. 2. 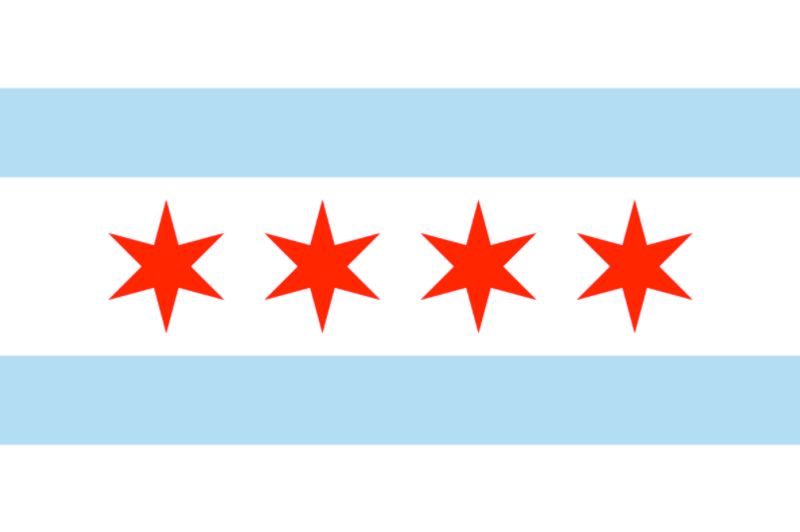 “QuickFacts Chicago city, Illinois” United States Census Bureau. Accessed February 19, 2018 from https://www.census.gov/quickfacts/fact/table/chicagocityillinois/AGE295216. 18. “Proposed Legislation Aims to End Predatory Car Title Lending Rates in Illinois.” HeartlandAlliance.og. Accessed February 19, 2018 from https://www.heartlandalliance.org/press_release/proposed-legislation-aims-end-predatory-car-title-lending-rates-illinois/. 23. Mertens, Richard. “Need emergency cash? Payday loans aren’t your only alternative.” The Christian Science Monitor. Accessed February 19, 2018 from https://www.csmonitor.com/Business/2018/0108/Need-emergency-cash-Payday-loans-aren-t-your-only-alternative.